Hints of the H-II region nebula are visible because I cranked the stretching. But that's blowing out the bright stars and merging some of the companions. Multi-star system HD 46150 is just north of centre. 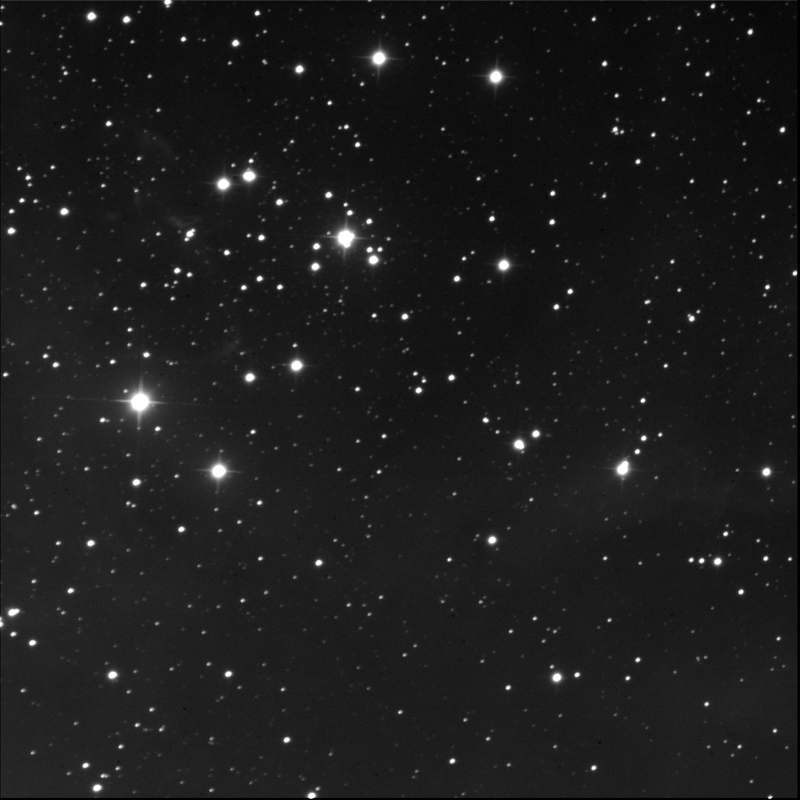 There are 10 identified stars according to SkyTools 3 Pro. A, B, C, D, and E are all merged together. The southward lobe is E; the westward bump is D. F is due north. G and H form a triangle with HD 259105 to the south-south-west of 46150. J is to the south-south-east and further along is K to the south-east. Beyond is the cool quad of HD 46056 with the four stars in a line angle up to the north-west. Near the bottom-left corner of the frame is HD 259332. Unfortunately, the C star is cut-off. There's something interesting going on with the stars immediately to the north too. Triple HD 46180 is visible to the east-north-east of 46150. A and B are merged; C is just visible above the peanut. 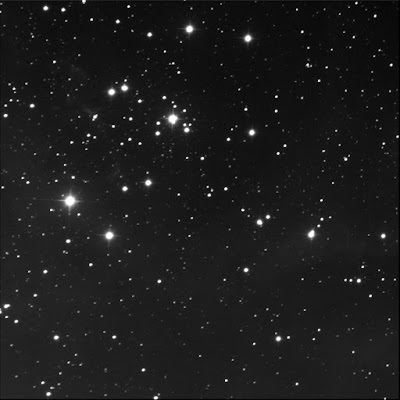 On viewing a revised image with a lower brightness setting, many companions emerged as separate stars. This included HD 46150 D and E, HD 259012 A and B, and HD 46180 A and B. Also, a point appeared to the north-east. HD 46150 B? If so, it moved! Discovered in SkyTools I had this NGC in my View Again list. I think I can remove it now. The Rosette Nebula itself is referred to in Sir Moore's catalogue as Caldwell 49. Reshot HD 46150 (faster) on 11 Nov '17. Successfully split more stars.